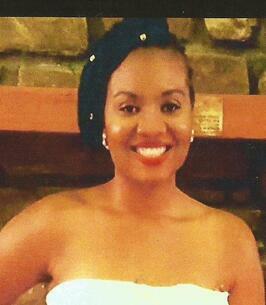 Alexis Culbertson Service Details - STATESVILLE, North Carolina | Rutledge & Bigham Mortuary, Inc.
Ms. Alexis Dominique Culbertson, 31, of Charlotte, North Carolina, was born in Lawton, Oklahoma, on September 4, 1986, and was the beloved daughter of Christopher Darren Culbertson and Wanda Louise Hughley-Culbertson. Alexis departed Friday, August 17, 2018, at Carolinas Medical Center in Charlotte, NC, following an extended illness. She was preceded in death by her maternal grandparents, Johnny Lee Hughley, Sr and Leander W. Hughley, and paternal grandfather, Elex Eugene Culbertson. Alexis was a 2004 graduate of Ridgeview High School, Columbia SC, a 2007 graduate of the College of Charleston where she received a Bachelor of Science in Sociology, and a 2017 graduate of Winthrop University where she earned her Master of Social Work (MSW) degree. She further received her credentials as a Licensed Clinical Social Work Associate (LCSW) within the state of North Carolina. 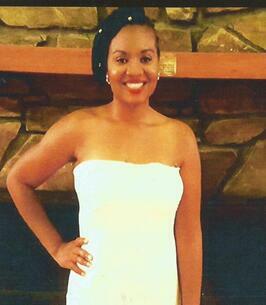 Alexis regularly attended Zion Pilgrim Baptist Church in Columbia, SC, and visited a host of other churches with relatives and friends. She was a proud member of the Sigma Gamma Rho Sorority. She leaves the beautiful and cherished memories of her life to her parents Christopher Culbertson and Wanda Louise Hughley-Culbertson of Columbia, SC; her twin sisters LeAnne Ashli Culbertson and LeAndra Denise Culbertson both of Columbia, SC; her Fiancé and best friend of five years William Sanders Carter, Jr (Will) of Charlotte, NC; her grandmother Mary L. Culbertson of Statesville and godmother Kimberly J. Lockinour of Cleveland, OH; uncles and aunts Maurice (Karen) Culbertson of Lexington, NC, Sheila (Ozell) Hadley of Redford, MI, Mitchell (Angela) Culbertson of Columbia SC, Tiawana R. Hughley of Homestead, FL, Johnny Lee Hughley, Jr of Tuskegee, AL, and a host of cousins, extended relatives and friends. Celebration of Life Services will be conducted Friday, August 24, 2018, at 2:00 p.m. at The Mary B, Bigham Memorial Chapel of Rutledge and Bigham Funeral Home. Reverend Isaac Pettis will officiate and Reverend Michael McClain will eulogize. Burial will follow in the Belmont Cemetery in Statesville, N. C.
Ms. Culbertson will remain at Rutledge and Bigham Funeral Home where members of the family will receive friends from 1:00 p.m. until 2:00 p.m., but will assemble at the residence of her grandmother, Mary Culbertson, 2015 McKinley Avenue, Statesville, NC 28625. Visit the Book of Memories for Alexis at www.rutledgeandbigham.com. Rutledge and Bigham Funeral Home is serving the family of Alexis Dominique Culbertson. 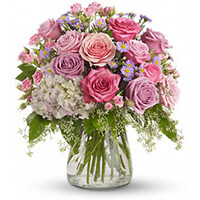 To send flowers to the family of Alexis Dominique Culbertson, please visit our Heartfelt Sympathies Store. We encourage you to share any memorable photos or stories about Alexis. All tributes placed on and purchased through this memorial website will remain on in perpetuity for future generations. Alexis, I love you. I was looking for you on yesterday online and came across your video on YouTube. I posted a comment and asked you to contact me. I did not find out until today after looking for a response that you transitioned. I will hold onto the memories. I really am lost for words. I know that I will see you again. May God grant you peace and comfort during this time of bereavement. Chris and Wanda - It was devastating hearing about the passing of your daughter. My prayers are with you both and your daughters. Please accept my deepest condolences for your family's loss. My prayers will always be with you. Wanda and family, my deepest condolences for you and your family this time. May God be with you all during your time of pain and sorrow. 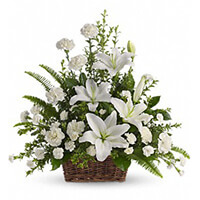 To the Culbertson family, During the time Alexis worked for us, so was always a cheerful and warming young lady. She brightened the room when she walked in with her beautiful smile. We are appreciative of her time with us and appreciated the work she performed. It broke our hearts to learn of her passing. Our University and Police department would like to extend our heartfelt sympathy to the family. May she rest in peace.